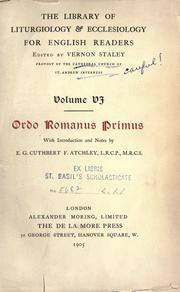 2 editions of Ordo romanus primus found in the catalog. Add another edition? Published 1905 by A. Moring, limited in London . pt. I. Introduction: The church, its ministers, and the ornaments thereof. pt. II. Solemn mass and its ritual. Introduction. 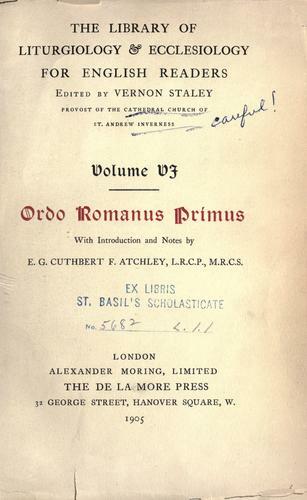 Appendix I. Latin text with English translation of Ordo romanus primus. Appendix II. An Ordo romanus from a ninth century ms. of St. Amand (c. 800 A. D.) rendered into English. Appendix III. 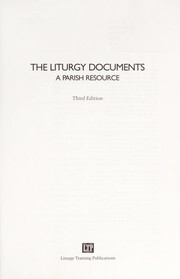 The Roman liturgy of the eighth century, with the forms proper to Easter day, and rubrical directions from the Gregorian Sacramentary, Ordo romanus primus, and the Ordo of St. Amand. Appendix IV. 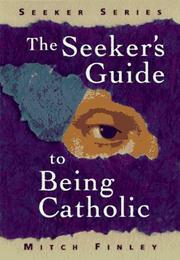 The liturgy of the (civil) Diocese of Africa at the time of St. Augustine of Hippo, c. 400 A. D.